As a user researcher, I'm always looking for ways to help teams develop an understanding of the people they're building products and services for. However strange the techniques, the benefits are clear. The team questions their design and how it is implemented, checking at every step that it will contribute positively to achieving users’ goals. This delivers better products faster, more efficiently and reduces the cost associated with re-working a product that has poor usability; ultimately leading to a satisfying user experience. When the objects, terminology and sequences in the user’s world are unfamiliar to you, developing empathy is challenge enough. However, when your audience experiences every aspect of the world differently, the challenge takes on another dimension. Accessibility testing is a mandatory step in DVSA’s development processes. The GOV.UK Design System that we follow includes styles and patterns that can help to make sure a service is usable by physically disabled users as well as those with mental impairments. As well as following the guidance in the GOV.UK Service Manual on making your service accessible, we wanted to develop empathy with users with a disability. 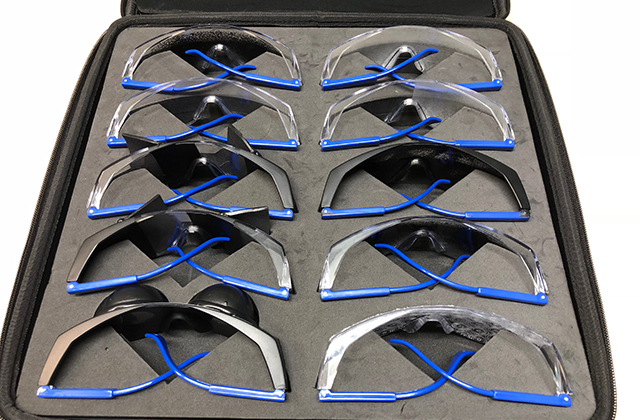 DVSA recently bought a set of goggles that simulate a range of visual impairments. They include cataracts, tunnel vision, and loss of parts of the visual field associated with diabetes, stroke and macular degeneration. By donning a pair of goggles, it was possible to see the world through the eyes of another person. 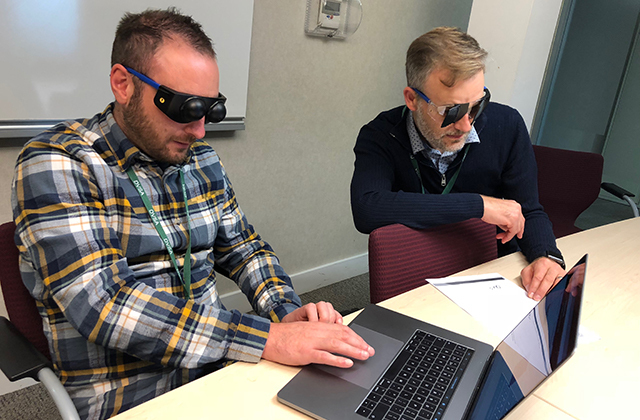 To gain deeper insight into what it would be like to live with the different types of visual impairment, we developed a series of tasks that would be typical for users of our digital service for vehicle operators. This service lets lorry, bus and coach operators apply for and manage their operator licence. The task that we chose is our highest volume transaction: adding and removing vehicles from a licence. This involves finding and changing vehicle details, such as the registration number and vehicle weight. Around 80,000 operators do around 340,000 of these vehicle changes a year. 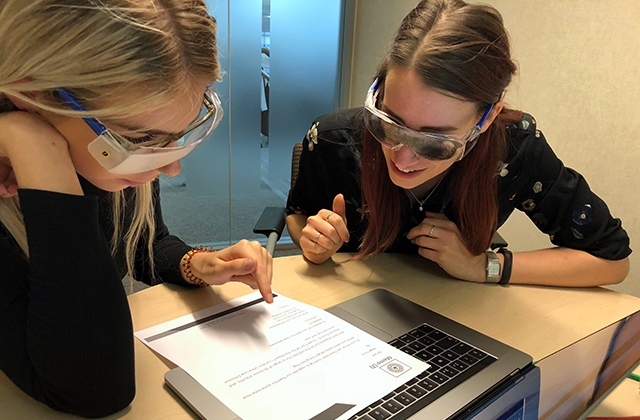 So, people in our product teams spent 25 minutes wearing the goggles and using the service to add and remove vehicles from a licence. Taking part in our accessibility sessions has provided insights on a number of levels. Once the participants had become familiar with the limitations being placed on their vision, they turned their attention to understanding the impact on someone trying to complete their day-to-day work. This really makes you think. Everything is so much slower, and it is really difficult to check what you have done. I could achieve the task, but it took all of my concentration. Any complication like an extra step or additional information was just too much. Some also related the experiences back to the tools and techniques we use when designing a service. I used to be irritated by the way our design system made us break tasks down into single steps, but I completely get the importance of it now. I always wondered why he tipped his head like that. Now I know why she sometimes bumps into things. That must be why she always has her the text on her screen set so large. Initially, we saw this as a small-scale activity for our immediate development team. But the experience has proved so engaging that 46 people from our Leeds and Nottingham offices have tried the goggles so far. This includes developers, testers, analysts, caseworkers, team leaders and senior managers. Interest continues to grow. In November, I'll be taking the goggles to the Office of the Traffic Commissioners' annual conference where even more people will be able to take part in the experience. It's a significant investment by DVSA in understanding accessibility issues. We're currently creating pieces of work which will fix these issues across the whole service. We'll then engage with users with other challenges due to a range of physical and mental conditions. We're also working with Enabled, our staff network group representing colleagues who have impairments or may need workplace adjustments. This will give us more insights and help us identify new ways to improve our service. Having been through this experience, we feel that we have a much-improved capability to make a product that really is for everyone.